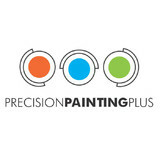 We are a unique painting company that creates the highest quality paint job that exists today. EPA lead safe certified full stripping of old exterior paint provides a perfect base for our full line of exterior primer and paint products. We provide warranties from 3 up to 15 years! 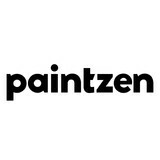 MPA Painters was established in 1975. We started this company with the belief that integrity, hard work, and dedication to our customers were the keys to a successful business. We take great pride in providing service that exceeds expectations, and we never turn down a job. Over the years, our commitment to our craft has helped this company forge lifelong relationships in the New Jersey and NY area. Your project is important to us; whether residential or commercial, big or small, interior or exterior, a bedroom or a warehouse. MPA Painters treats each venture like family. Our company is equipped with state-of-the-art technology. With a large 5-star crew we have hand trained we are prepared to meet the challenges of any improvement project. We use only the best, time-tested materials to get the job done right the first time. The utmost care and respect are given when preparing applications, and we ensure meticulous attention to detail for beautiful, lasting finishes. Customer satisfaction is our #1 goal. MPA Painters can look back on many years of experience and many successfully completed projects. Satisfied customers are our motivation to perform our work with reliability, punctuality, and trustworthiness. Our highly trained and versatile team of professionals put quality and reputation first. We have been serving the New Jersey area for over 30 years. We offer the best quality work at a reasonable price. Would you like to learn more about us? Simply contact us at 908-845-5700. The dedicated team at Robert Canaan Painting LLC operates with exceptional skill and professionalism, and prides itself on its commitment to superior customer service. As a full-service home improvement and painting company, we are equipped to handle both interior and exterior refurbishing needs for residential and commercial clients. We are proud to have an a A+ rating with the Better Business Bureau. We encourage contact with former clients (a list of references is available upon request). Robert Canaan Painting LLC is licensed, bonded and insured. 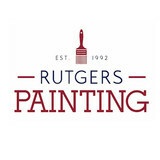 Your professional, affordable, full-service painting contractor, serving the residential painting needs of the entire Mountainside, New Jersey area along with Staten Island, NY. 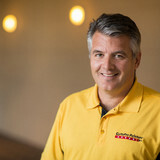 Kevin has proudly owned the CertaPro Franchise since January 2005. Kevin grew up in Dumont, NJ and graduated from Seton Hall University with a business degree. He previously worked in the financial industry and then with ADT Security Systems as a National Account Manager. Kevin also has an MBA from Farleigh Dickinson University. 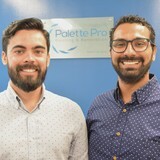 After working in the Corporate World for many years, he wanted to start his own business and was excited about the CertaPro focus on customer service. Kevin is married to Patrice and they have two children. In his spare time he coaches basketball, softball and attends his son's track meets. "Customers for Life" is one of Kevin's main goals for the company. we pride ourselves on offering our customers the highest quality interior and exterior painting service in the industry at the lowest possible price. Just when you thought that hiring a professional painter was not in the budget, with bkny INTERIOR PAINTING based in bensonhurst brooklyn new york, you’ll get amazing results, clean and perfect, at the best price. With over 10 years of experience serving brooklyn,manhattan,staten island,queens,long island, surrounding tri-state area.